There should be a different kind of spren (Sandersonspren? Cosmerespren? I am open to suggestions), spren depicting the tempest of emotions that threaten to smother you when you read The Way of Kings, or books written by Brandon Sanderson in general. Anger, panic, frustration, sorrow, wonder, awe, humility before his brilliant mind, his limitless imagination, his Words that twirl, spin and dance until they ensnare you in their web, until they are ingrained in your molecules and flow in your blood. 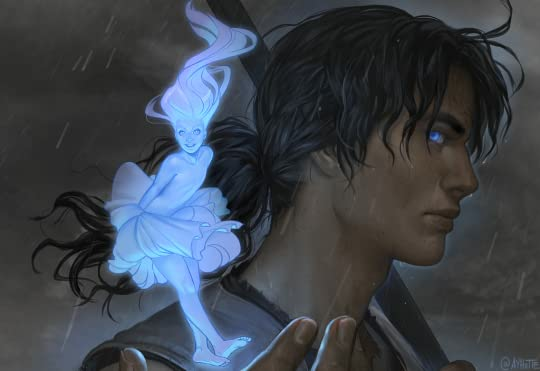 There is fantasy, and then there is Fantasy; Brandon Sanderson is a byword for the latter. In a land ruled by violent storms, a land blighted by conflict, abandonded by its protectors, ignorant of her past and the enemy that awaits for a signal to devour her, lived a surgeon apprentice that was forced to follow the path of the warrior, and later was branded as a slave. A young scholar who, in a desperate attempt to save her family, devised a dangerous theft. A prince who was haunted by terrible visions, and started to realize that only peace would save his kingdom and the world in the upcoming storm. And an assassin in white, a puppet who wielded his sword at his master's commands, unable to resist to the massacres he was forced to commit. When strong gasps of wind rattle Roshar, when prophecies keep coming up and stone slowly awakens, humanity faces extinction. Now is the time for the Knights Radiant to stand again. I'm shaking as I write this review. Even though my expectations were already high when I started The Way of Kings, since The Stormlight Archive is considered Brandon Sanderson 's magnum opus, I was not ready for its blinding grandeur. Brandon Sanderson did not simply craft a continent of various cultures; he dived into every single culture, cultivating physical descriptions, religious, goverment and justice systems, traditions, superstitions, clothing, alimentation and so on; he created muptiple works on philosophy and ethics, debates regarding divinity and morality, and in doing so, he managed to establish the most detailed, thorough and complete world-building I have ever encountered. While at first I thought all those descriptions were not necessary, every single one was well placed, and the result was a dumbfounded Katerina begging the Almighty for absolution, because not reading it sooner was a mortal sin. The turning point, though, that made me realize that The Way of Kings is one of the best books I have ever read, was the Battle of the Tower. There was splendour in this battle. There was nobility, honor, and courage mixed with gut-wrenching fear, indignation and an overwhelming need for justice. It was then that I realized how much I cared about the characters. It happened in a quiet, low-key way. I spent so much time witnessing Kaladin's descent onto despair and indifference and his consequent, slow ascension towards light, cheering and aching for him, frantic to see him succeed and save his comrades, Bridge Four, from their terrible fate, that Bridge Four and its bridgeleader became family; I sat with them around the fire, eating Rock's stew, I held the spear and marched to certain death, in a shattered battlefield. Even though his prejudice towards lighteyes rendered him blind, even though he thought himself responsible for every single bad thing that happened to those he cared and that burden occasionally crashed him, he was strong, unyielding, and destined for greatness. So was Dalinar. His integrity and honor was a beacon amongst frivolity, backstabbings and petty personal agendas, he was a warrior through and through, and I deeply admired him for that. And then there was Shallan. 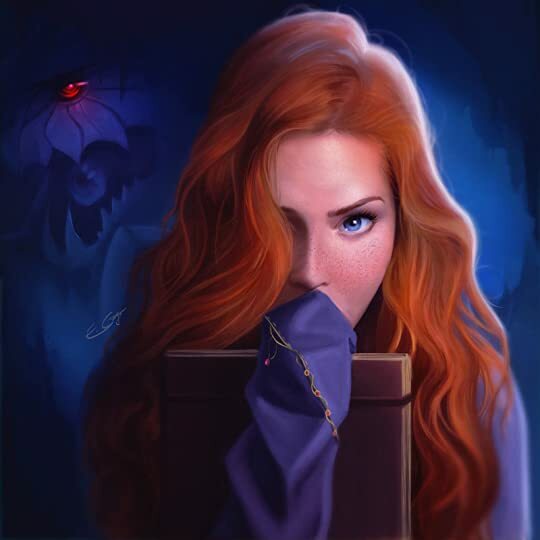 Quick-witted, sharp-tongued Shallan who was torn between her promise to her family and the allure and satisfaction of her studies next to the most renowned scholar of her time, Jasnah Kholin. Shallan and Jasnah had a rocky relationship, but my gut tells me that their research holds the key to survival in the looming war. Brandon Sanderson is probably the most gifted storyteller of his generation. He's a silent force that strikes you when you least expect it, and with The Way of Kings he introduces a series that will change the history of Fantasy.